Human-rights and counter-terrorism researchers warn that ISIS's cultivation of child jihadis reveals a sophisticated and long-term strategy for building a caliphate, or Islamic state. 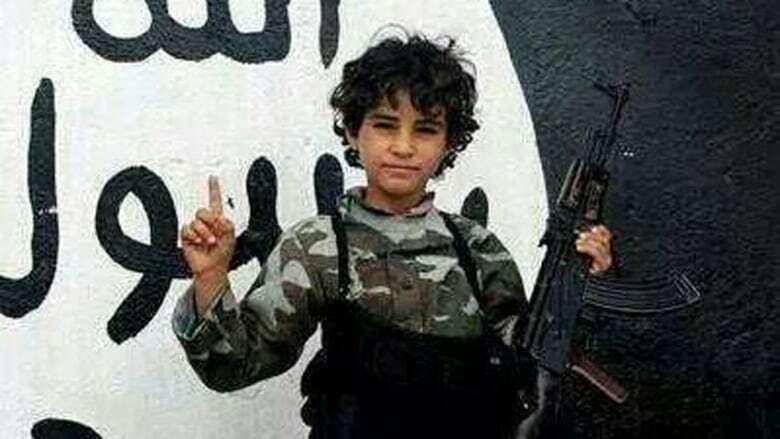 This image of a child, purportedly a nine-year-old ISIS recruit from Syria, was shared on social media. 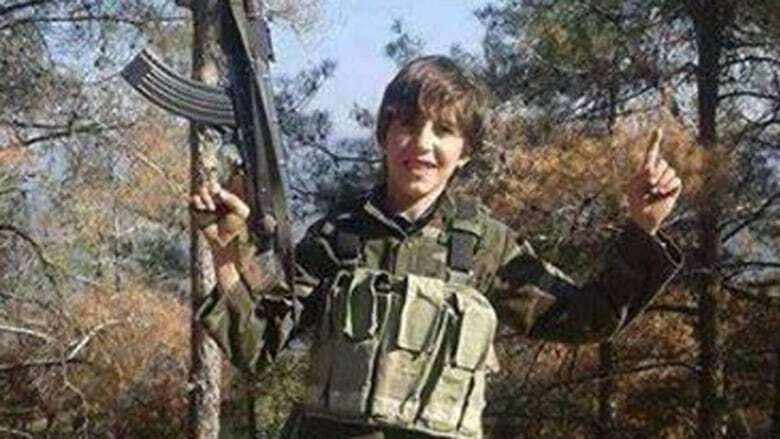 "The leader of the camp said [ISIS] liked the younger ones better," Raed said in the HRW report. "He told me, ‘Tomorrow they’ll be a stronger leader or a stronger fighter.’"
Read more here about what Article 38 of the UN Convention on the Rights of the Child says about the use of child soldiers. "The images of child soldiers I’m most familiar with are out of Africa, where there’s the practice of taking young children and sort of breaking them down psychologically and remoulding them as trained killers said Michael Dartnell, a terrorism expert who teaches political science at Georgian College in Ontario. "I’m not certain if that’s actually what is going on in Syria and Iraq right now." Even so, Dartnell added he wasn’t sure about the capacity for such young minds to make independent ideological choices so early in life. 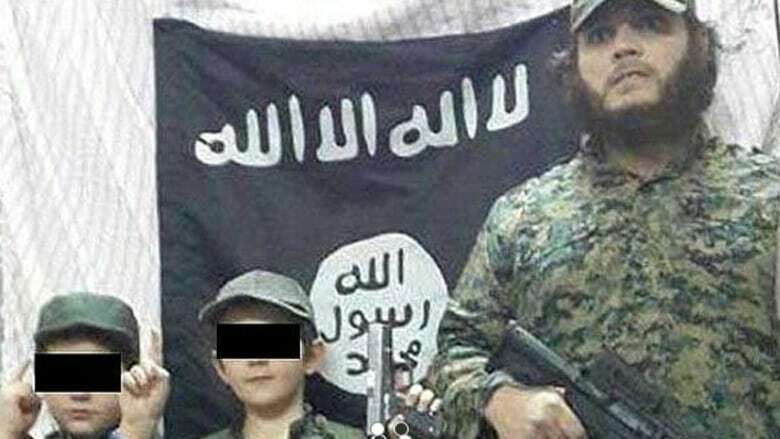 While Roggio said his monitoring of jihadi social-media feeds brought up images of young ISIS supporters brandishing weapons, marching in extremist parades and hitting posters of perceived infidels with their shoes, "I don’t see them being deployed on the battlefields or into towns" as one might expect a child soldier to do. ISIS in Iraq: What is a caliphate? "It’s deeply concerning," she said. "All children in Syria are suffering incredibly from the violence there, but to put children directly into battle is just beyond the pale."